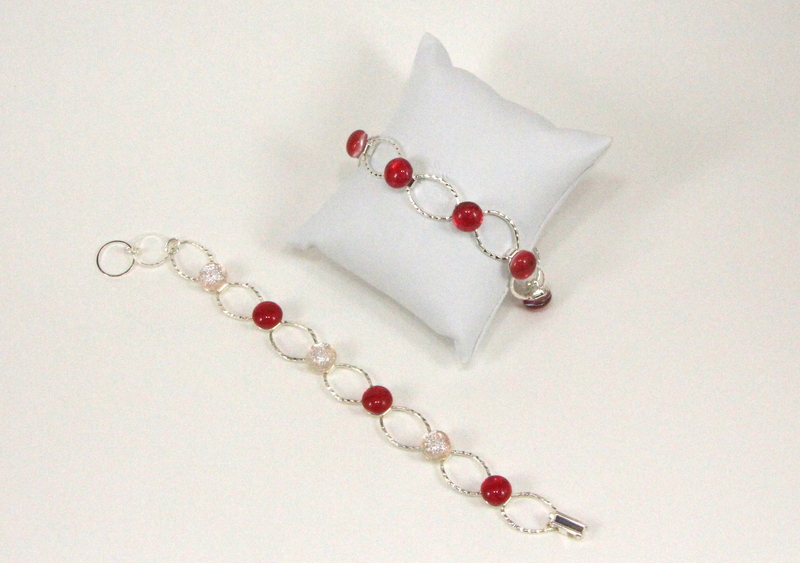 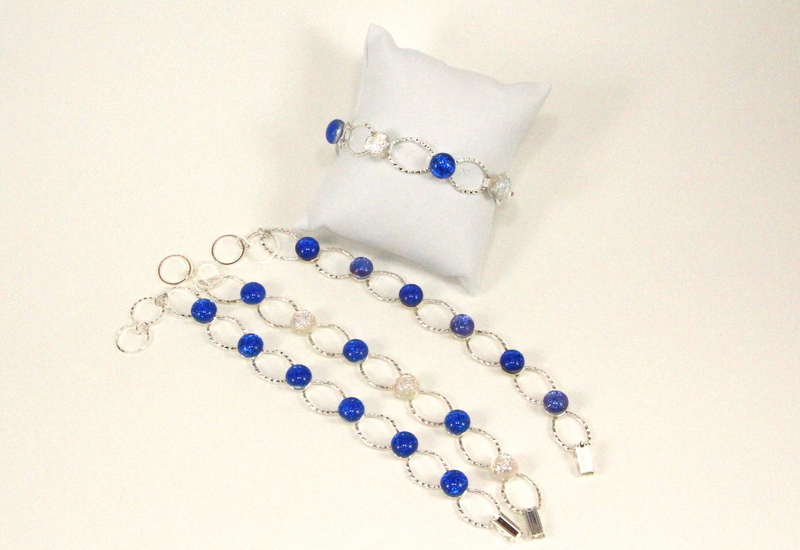 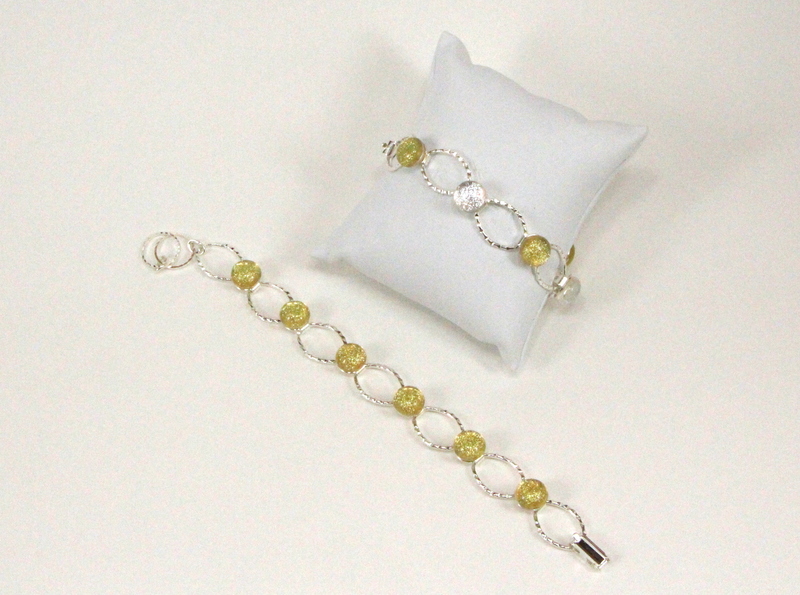 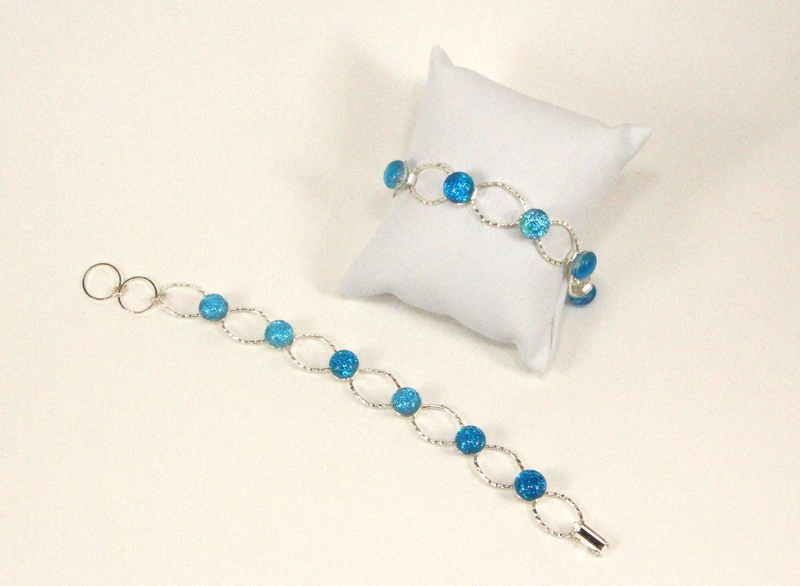 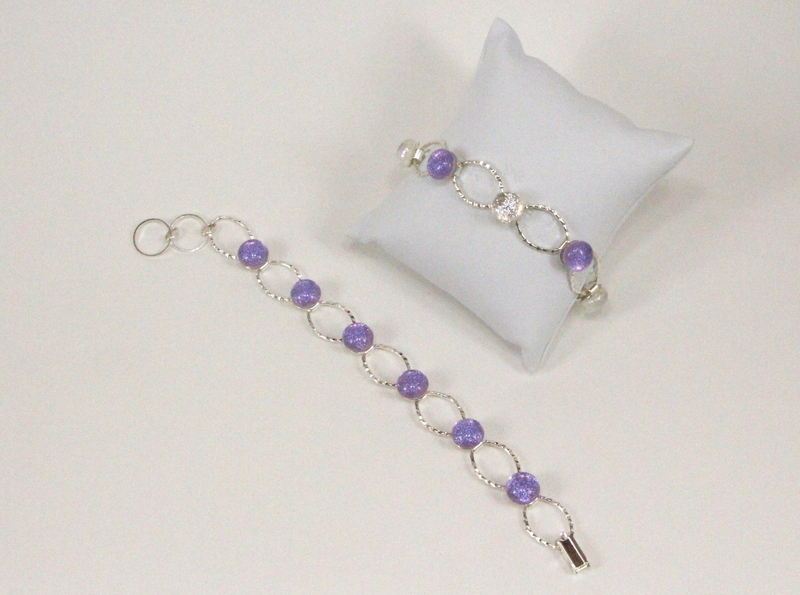 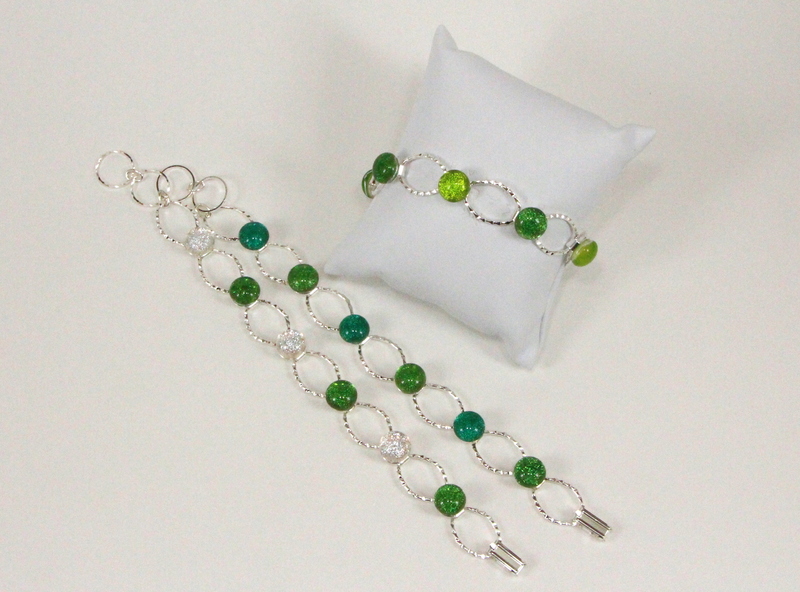 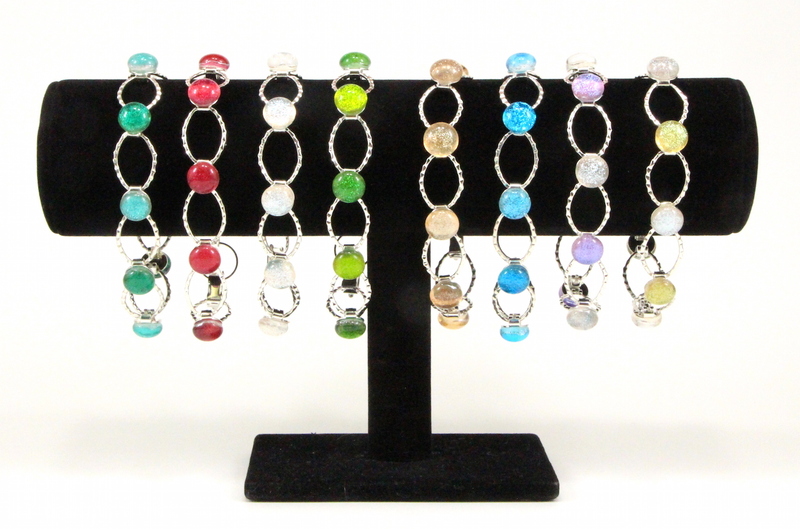 Silver plated link bracelets have a hammered finish and feature six round dichroic fused glass pieces. 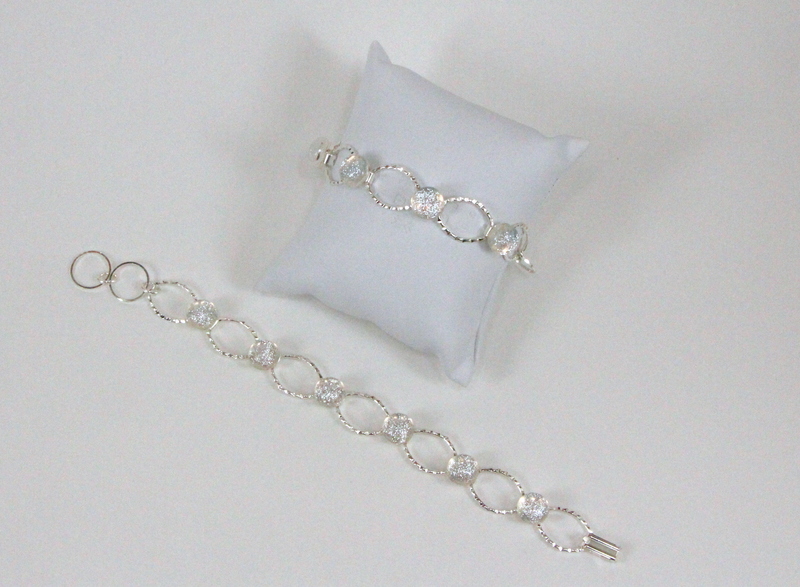 Each bracelet is packaged in a white jewelry box. 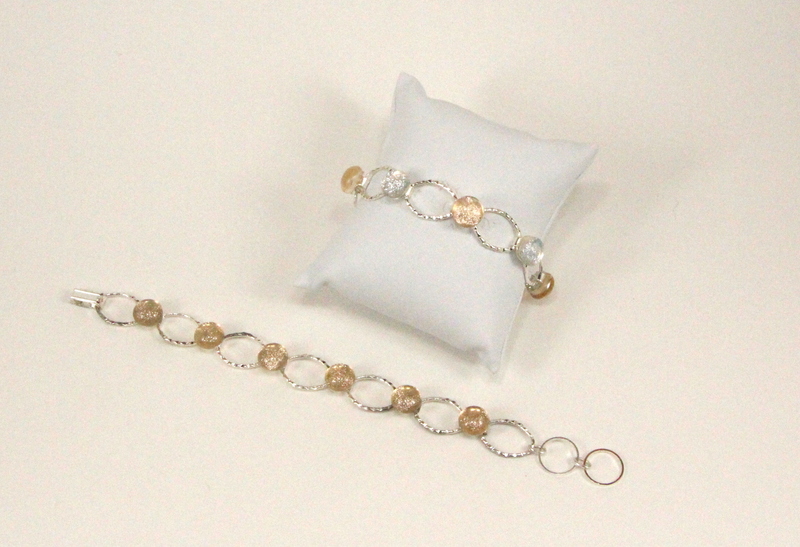 180mm + 25mm extension (7 inches + 1 inch extension).